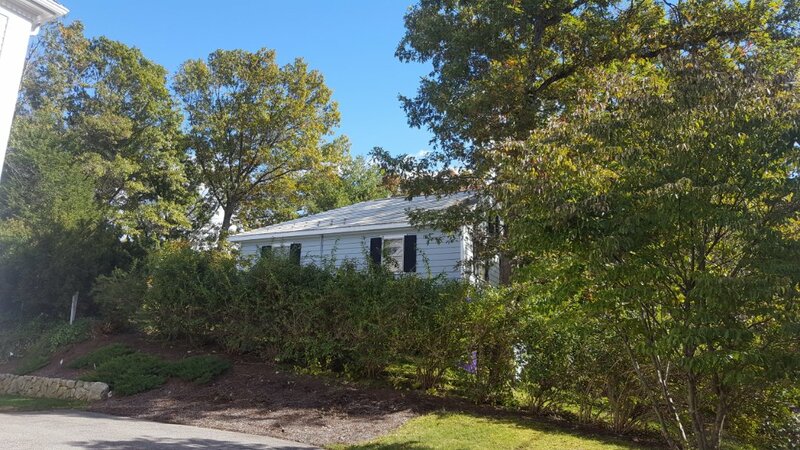 A metal roof installed by Classic Metal Roofs definitely isn’t your grandpa’s tin roof! Today’s metal roofing offers a long list of impressive benefits that make it a better choice than other materials. Here are just some of the advantages you get by choosing a quality metal roof for your Wellesley home. exceptional performance lies in the special ENERGY STAR®-compliant finish applied to the metal that reflects solar energy while also cooling your home by re-emitting the solar radiation that is absorbed. In addition, metal roofing is a great insulator during the cold months. Long life. A metal roof offers a long lifespan of 50 years or more. 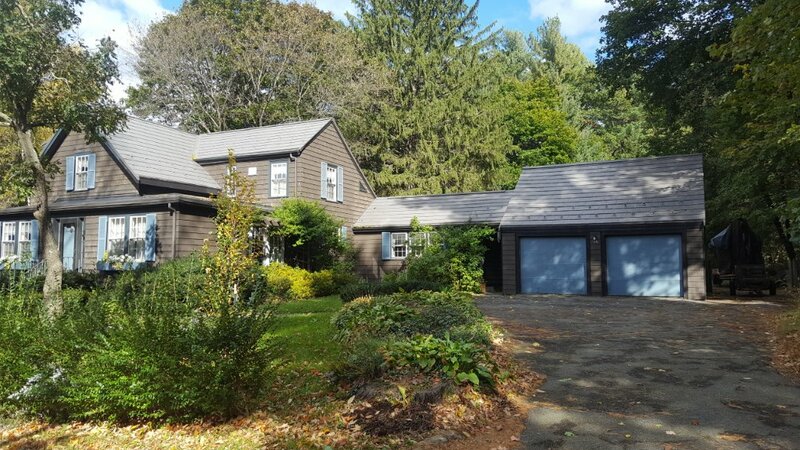 In the Wellesley area, it’s common for an asphalt roof to need to be replaced every 10-15 years, and sometimes sooner if it’s a low-pitched roof. That means a new metal roof installation will last you at least three to four times longer than an asphalt shingle roof installed on the same day! There’s a good chance that a metal roof will be the last roof you install on your home. Beauty. Available in a wide range of colors and profiles, there is a metal roofing option to suit any home. You’ll be surprised at how metal can boost your home’s aesthetic appeal! With more than three generations of building experience, you won’t find a more experienced team than the one at Classic Metal Roofs. We’ve been roofing Southern New England homes for more than a decade, and belong to a nationwide metal roofing dealer network. You can be assured you will receive the best possible metal roof installation from an industry leader – “the best roofs under the sun”! Call Classic Metal Roofs for the last roof you’ll ever need! Contact us at (866) 303-2002 or complete our online form to request a free quote. 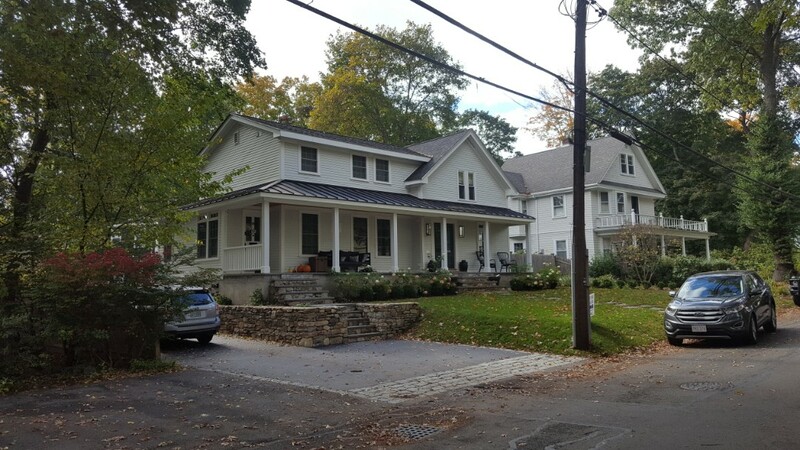 This colonial home now has a lifetime aluminum metal roof. 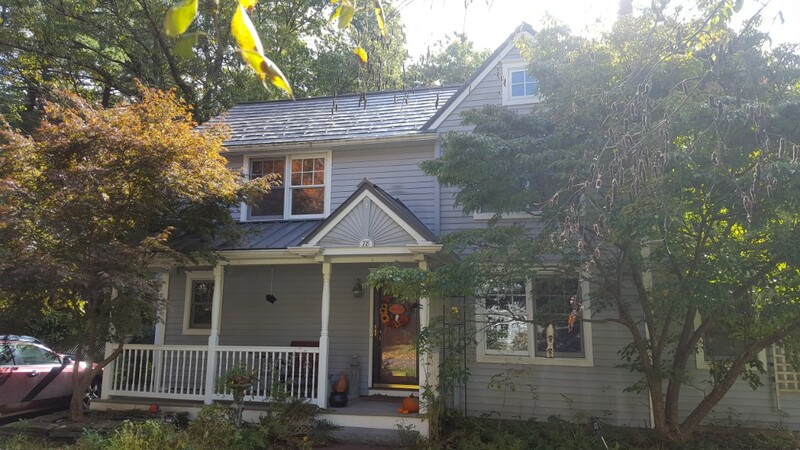 The main roof has the Oxford Slate metal shingle, and the lower roofs have aluminum standing seam Accent metal roofs. 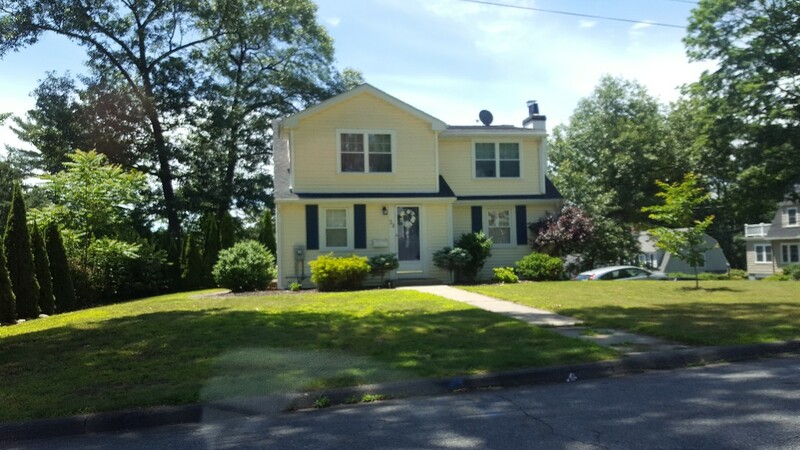 Estimate for a new aluminum metal roof on this modified cape. An Oxford aluminum shingle or standing seam roof will be very nice in this Wellsley neighborhood.